The 3M™ Peltor™ LiteCom series with built-in two-way radio opens up a new world with endless communication possibilities. Don’t let noise and noisy surroundings prevent you from working effectively, and protect your hearing at the same time. It doesn’t matter whether you work in a small team or a large group. When everyone is linked by two-way radio you can do the right tasks at the right time. 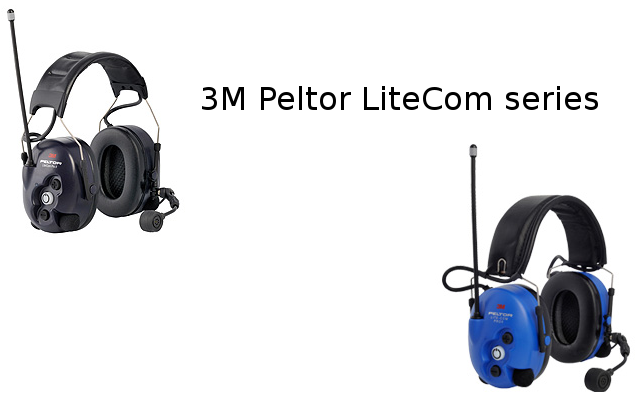 Peltor LiteCom also helps you deal with unexpected situations quickly and flexibly within your team. You can choose already programmed headsets on PMR (446 MHz) or LPD (433 MHz) frequencies or program your own frequencies.